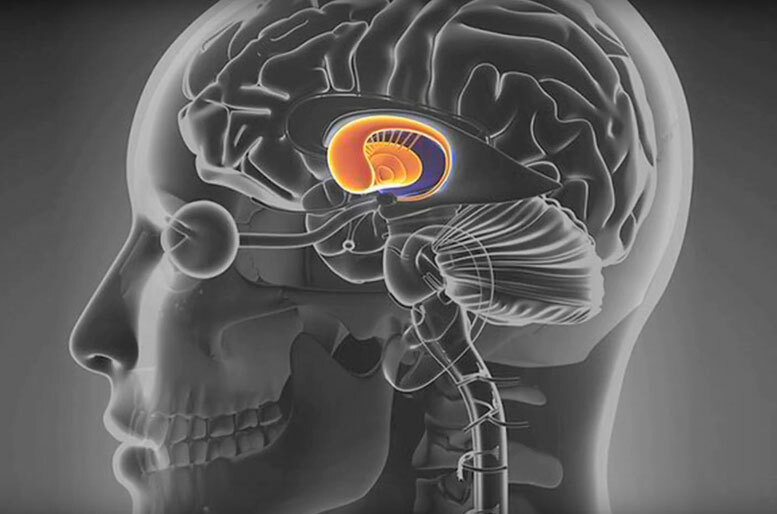 Rendering of the human brain, highlighting the striatum, which is associated with reward, movement and decision-making. A newly published study from UCLA focuses on cellular activity in the striatum, a part of the brain associated with reward, movement and decision-making. The new research could help improve understanding of Parkinson’s, Huntington’s and Tourette’s. Be the first to comment on "UCLA Researchers Identify Brain Cells Involved in Pavlovian Response"